10am – 2 pm Classes focused on themes of Tisha B’Av, taught by educators from the wider East Bay Jewish Community. Full schedule to follow shortly. Torah study, as it brings joy, is limited on Tisha B’Av to topics appropriate for the day of communal mourning. Once a prominent anit-Semitic politician in Hungary, Csanad Szegedi undergoes a dramatic change in worldview after learning of his Jewish heritage. 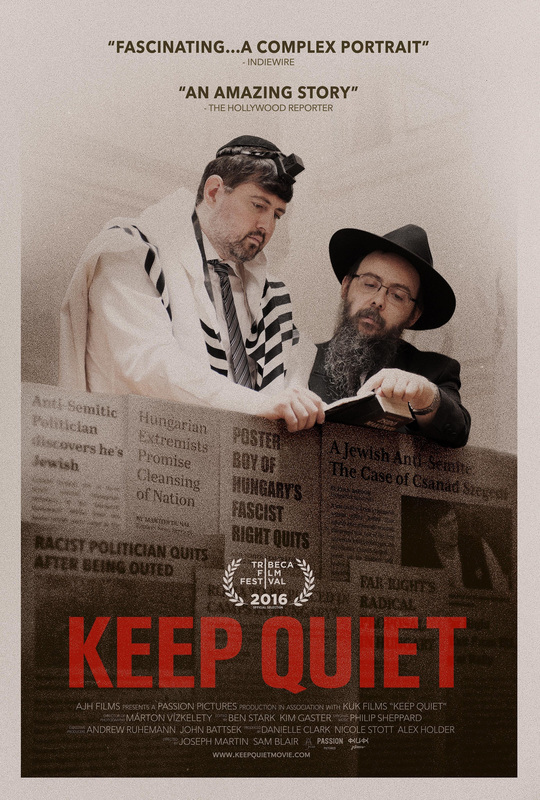 Keep Quiet depicts Szegedi’s three year journey as he is guided by Rabbi Boruch Oberlander to embrace his newfound religion, forcing him to confront the painful truths of his family’s past, his own wrong doing and the turbulent history of his country. But is this astonishing transformation a process of genuine reparation and spiritual awakening? Or is he simply a desperate man who, having failed to suppress the truth, has nowhere else to turn? Auschwitz prisoners, both Jewish and non-Jewish, were tattooed with serial numbers, first on their chests and then their left arms. An estimated 400,000 numbers were tattooed in Auschwitz and its sub-camps; only some several thousand survivors are still alive today. NUMBERED is an explosive, highly visual, and emotionally cinematic journey, guided by testimonies and portraits of survivors. The film documents the dark time and setting during which these tattoos were assigned as well as the meaning they took on in the years following the war. In fact, the film’s protagonist is the number itself, as it evolves and becomes both a personal and collective symbol from 1940 to today. These scars, paradoxically unanimous and anonymous, reveal themselves to be diverse, enlightening, and full of life.